This is the third in a series of articles by Epoch Times staff describing the foundations of Chinese civilization, and setting forth the traditional Chinese worldview. The series surveys the course of Chinese history, showing how key figures aided in the creation of China’s divinely inspired culture. This installment introduces the legendary Emperor Yao. 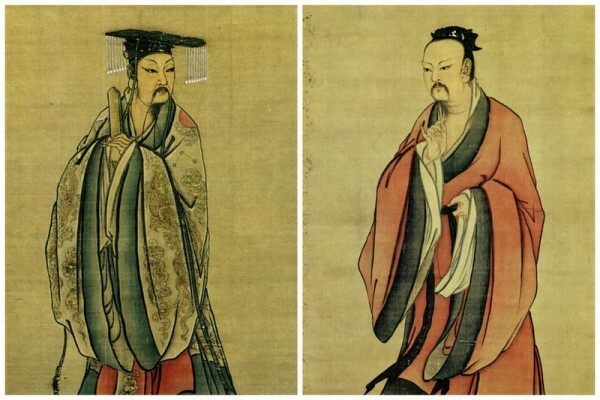 Following the creations of the universe and mankind and the reign of the yellow emperor, classical Chinese legends give prominence to the rulers Yao, Shun, and Yu the Great. Yao was born to a woman named Qing Du, a concubine of Emperor Ku. The “Ji Tomb Annals,” a chronicle of legendary China from the Han Dynasty, records that Qing Du gave birth to Yao after meeting a dragon that showed her an image of her future son. Her pregnancy was unusual as well: Yao spent a full 14 months in the womb before birth. The boy was named Fang Xun; posthumously, he was referred to as Yao. Yao demonstrated virtue and competence from a young age. At 13, he was placed in charge of the city of Tao. Two years later, he was made marquis of the Tang region and aided his brother in court administration. In his latter years, Emperor Ku practiced divination and determined that among his sons, four were good candidates for the throne. Ku decided to crown his eldest son Zhi as the new emperor because of his age. 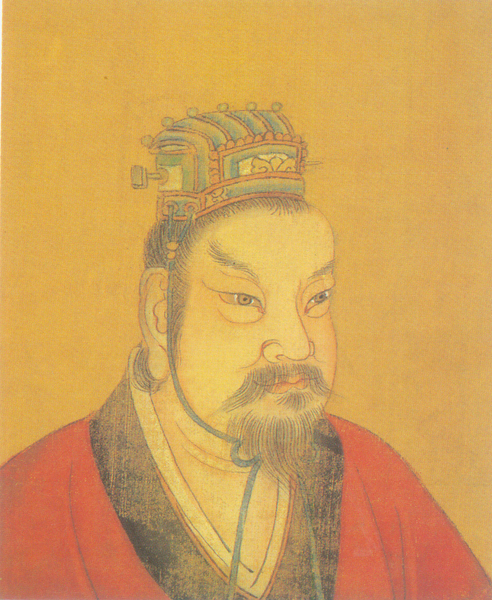 Following Ku’s death, Zhi became emperor. The reign of Emperor Zhi was not a good one. The three ministers he placed in charge of government, industry, and natural environment were corrupt and impudent. They undermined traditional customs, the natural order, and led Zhi into a life of sensual indulgence. He became unconcerned with his imperial responsibilities and distanced himself from administration. Over time, natural disasters ravaged the land and the common folk became restless. It was said of Emperor Zhi that his rule had deviated from the Dao. A rebellion broke out in the land of Dongyi and Yao was sent to quell it. In “Huainanzi,” a text of scholarly discourses from the second century B.C., it is recorded that six monsters plagued the people during Yao’s time. The first of these were a man-eating beast, a humanoid flesh-eater with long fangs, and the Jiu Jing, a hydra-like nine-headed monster with the ability to spit water and fire. The others included a fearsome bird of prey with the face of a man, a monstrous two-headed boar, and a leviathan snake. A famous account of legendary geography and culture, the “Classic of Mountains and Seas,” records that the heavenly emperor Jun dispatched a divine warrior, Hou Yi, to help humanity weather these great disasters that befell them. On Yao’s orders, Hou Yi slew the six monsters, alleviating the great suffering they had brought to the people. As time passed, it became evident that Yao possessed greater virtue and ability than his half-brother Zhi. The marquises of the Four Directions indicated their preference for Yao, and, after nine years on the throne, Emperor Zhi issued an imperial edict announcing his abdication in favor of Yao. In legends, it is said that before his ascension to the throne, Yao had a dream in which he encountered an azure dragon that took him to the zenith of Mount Tai and beyond to the gates of heaven, where he saw the splendors and riches of a divine city. Yao thus took the throne and made his capital at Pingyang. To support his rule, he sought talents among the common folk and conducted investigations to give voice to and understand the people’s concerns. If there is but a single man who goes hungry, it is I who is responsible. Additionally, the new emperor visited four ascetic cultivators residing at Mount Gunshe, greeting them with the proprietous modesty of a disciple asking a teacher for instruction. The reign of Yao was characterized by sensitivity for the people and their opinions. The emperor divided China into the Nine States and frequently toured them. In his administration, Yao sought advice and assistance from the marquises of the four directions. At the city gates, he set up wooden boards on which commoners could point out shortcomings in the emperor’s rule. Hou Yi, the warrior sent to serve Yao, is best known in Chinese folklore for completing his mission to shoot down 9 of 10 suns that scorched the earth. It is said that the appearance of nine suns was precipitated by a number of inauspicious omens, including the sighting of a snake-like monster with six legs and four wings. Soon afterward, there were droughts and one day the people awoke to a sky with four suns. The commoners condemned the extra three as demon stars. Emperor Yao ordered Hou Yi to use his strength and eliminate the abominations. Hou Yi may have his divine arrows, but the matter rests with the piety of the sovereign. How shall I distinguish the lone true star, Hou Yi wondered, not wanting to commit a grave sin. “The genuine sun cannot be shot down,” Yao reassured him. Before long, there were fully ten suns in the heavens, and despite his superb aim, none of Hou Yi’s arrows could affect them. The “Classic of Mountains and Seas” records that the heavenly emperor Jun had 10 sons with his wife, who became the 10 suns residing beyond the eastern seas. The current disaster had arisen when the 10 suns decided to rise in unision. Rivers dried and plants withered. The soil burned and the air itself became difficult to breathe. As Emperor Yao burned with impatience and worry, a minister suggested that the emperor abstain from meat, wine, and carry out sacrifices to the gods in sincere prayer before heaven, earth, and the ancestors. Yao then bathed and carried out the proper abstinence for three days. At the same time, he made sacrificial offerings to heaven and earth. Hou Yi too made a trip to Mount Kunlun where he prayed devoutly to heaven and begged the suns to spare the Earth. The suns did not budge, and Hou Yi was forced to draw his bow. He brought down nine of the stars and the climate cooled to its normal state.